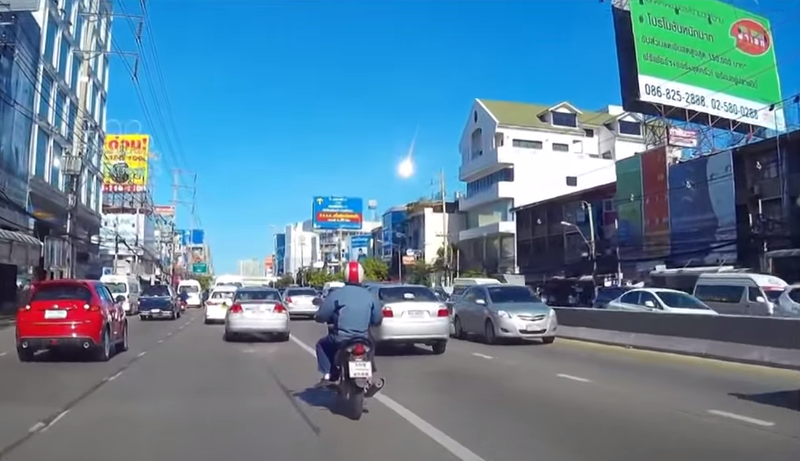 A mysterious ‘fireball’ has been seen blazing across the northern Bangkok sky and has been captured by multiple dashcams around the capital city. One dashcam in particular caught the moment head-on as the fireball, thought to be a meteor, burst into flames in plain sight. Locals took to social media to report the sighting, but there is still no official confirmation of what it actually was. @W7VOA Way too fast to be a satellite re-entry. Only possibility is a meteor/bolide. According to local media reports, the Bangkok Planetarium confirmed there had been no reports of a meteorite landing in the city. The Thai government are yet to comment on the incident.